Recycling in the workplace isn't always easy or clear, due to materials being mixed together. 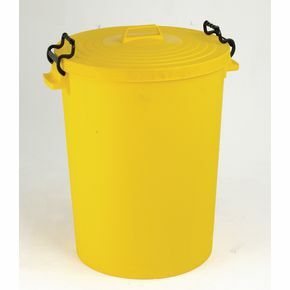 Let your recycling dilemmas become a thing of the past with a light duty dustbin from Slingsby. This plastic bin holds a capacity of 110 litres of rubbish and weighs just 3kg, so transporting it around a workplace is easy. It measures 520mm in diameter and 670mm high and comes with a matching lid so you can ensure all waste is safely contained and no unpleasant odours will be released. 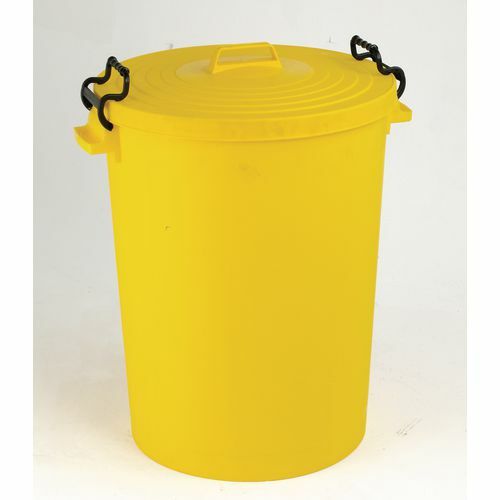 This plastic waste bin stands out form the rest, making it ideal for using to dispose of recyclable material – neither you nor your employees will mistakenly dispose of other types of rubbish. They are available in a choice of four colours; blue, green, red or yellow. Our light duty 110L dustbins are a great addition to the workplace, making recycling easy and safely container the waste.